The Education for Sustainable Well-Being Press of the University of Manitoba was founded and is run by the Education for Sustainable Well-Being Research Group at the University of Manitoba (www.eswbrg.org). The purpose of the Press is to publish e-books that contribute to the scholarship on education as a means for human and societal development for sustainable well-being and a flourishing society. 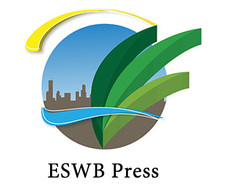 All publications by the EWSB Press are made freely available to the public. We are committed to the notion that academic scholarship, which is generally financially paid for by the public, be openly accessible to the public. To access our publications , click on the link "PUBLICATIONS" in the navigation bar or click here.